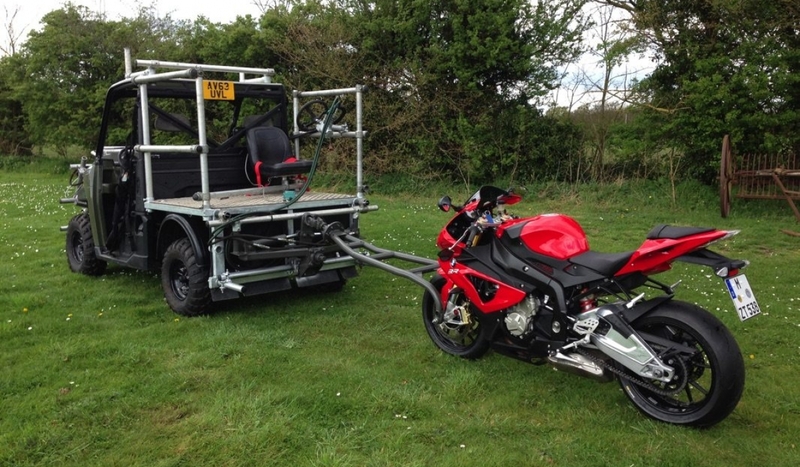 The motorcycle banking rig is a unique additional equipment option which can be used in conjunction with a number of our tracking vehicles, from our Panther Elite up to our Silverado Elite try axle, depending on location limitations and shot requirements. 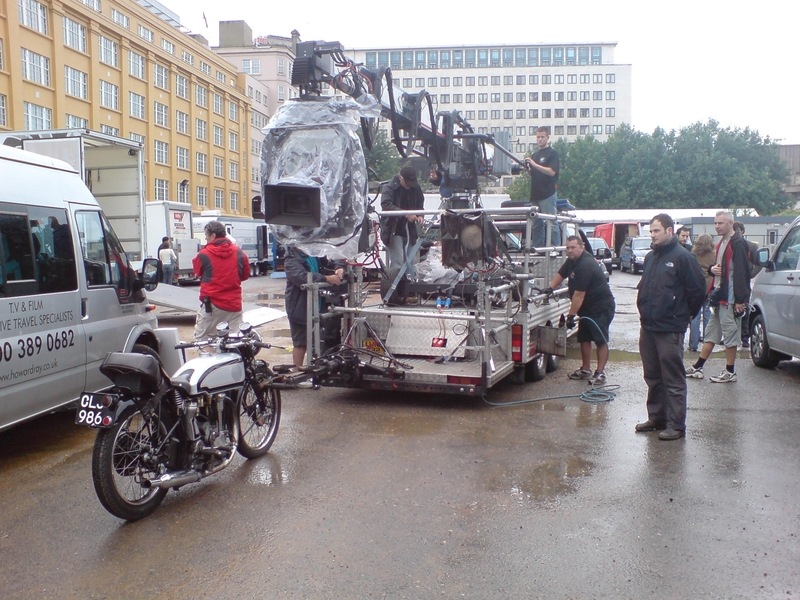 The motorcycle banking rig is an A-Frame system which connects to the host motorcycle directly through its front wheel spindle, this attaches to the tracking vehicle (Tow-Vehicle) by means of a electrically powered hydraulic lean simulation unit, this allows a Bickers operator to lean the motorcycle as it negotiates corners, thus giving the appearance of free riding, the camera angle can be low enough to capture both front and rear wheel rotation during the riding sequence. 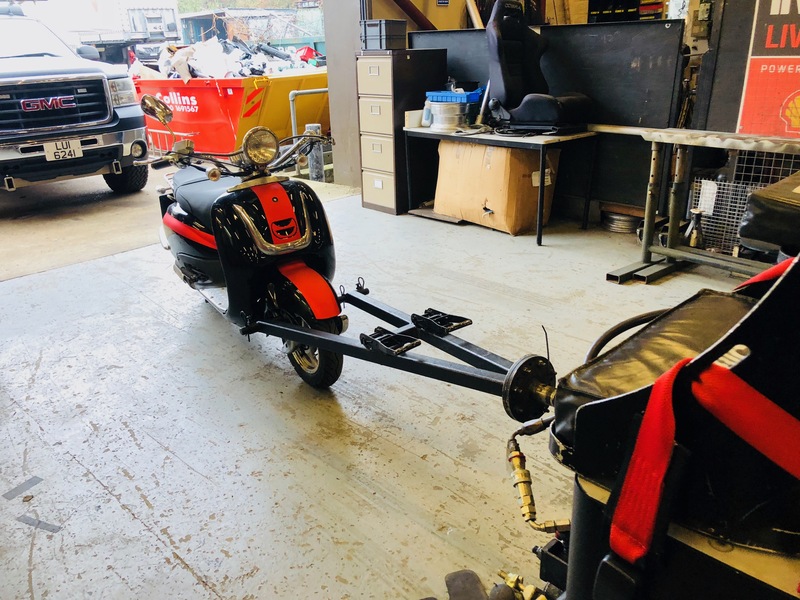 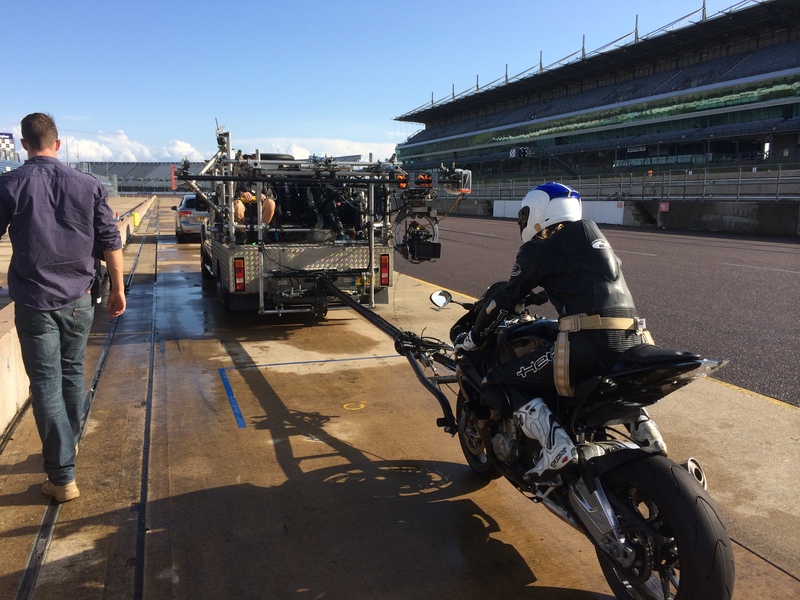 The motorcycle banking rig gives the full control of the motorcycle to the Bickers operator, thus enabling the cast member to act without having the ability to ride a motorcycle.